MELVILLE, N.Y.–(BUSINESS WIRE)–Henry Schein, Inc. (Nasdaq: HSIC) today announced that it will host the 3rd annual Dental Service Organization (DSO) Education Forum, May 17-18 in Las Vegas, Nevada. 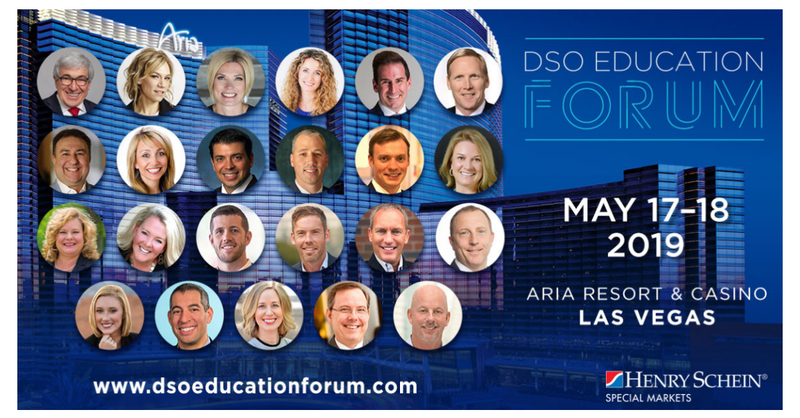 This two-day event, to be held at The Aria Resort & Casino, offers three unique educational tracks designed to fit the needs of DSOs, panel discussions featuring leaders in the dental industry, and networking opportunities with DSO leaders and fellow attendees. Based on the size and type of DSO, attendees will be placed in one of the three educational tracks, which will cover different topics based on their organizational needs. The National & Emerging DSO Track – Features content geared towards DSOs with a local, regional or national footprint. This track also caters to solo practitioners and private practice dentists looking to enter the DSO arena. The DSO Hygiene Track – Features leading dental hygiene consultants and speakers to educate on best-in-class hygiene practices, for one location and then scaling that to multiple locations. Leadership and Development Track – This track is new for 2019 and will teach attendees best-in-class team coaching, mentoring skills, and how to build team harmony within one location and across many locations. The track will feature content specifically designed for members of a group practice or DSO who manage other individuals. Whether they are new to a leadership position or a seasoned leader, attendees of this track will benefit from the experience. In addition to each track’s unique courses and speakers, the Forum will also include special guest speaker Julie Rice, Co-Founder of SoulCycle® & Chief Brand Officer for WeWork, and two panel discussions, which will feature top industry leaders, including Stanley Bergman, Chairman of the Board and Chief Executive Officer, Henry Schein, Inc.
To register for this event and learn more about the keynote speakers, please visit the DSO Education Forum Website.